Our MongoDB tool unites user friendly interface and Shell power. Intuitive interface and high performance of the desktop application save time for beginners and professional database developers and administrators. Full support of all the MongoDB, MongoDB Enterprise, MongoDB on Azure Cosmos DB and Amazon DocumentDB makes your work hassle free. You can use all commands of MongoDB Shell in our tool as easy as it can be! 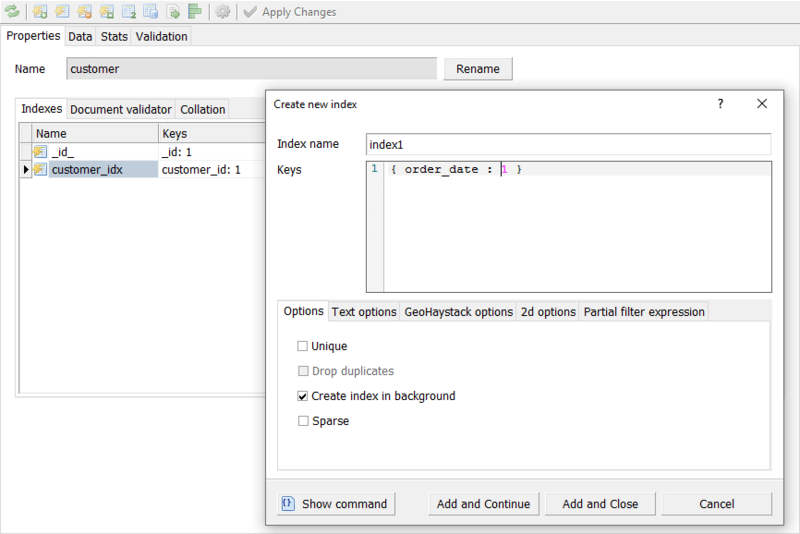 You can edit results of the db.collection.find() commands. 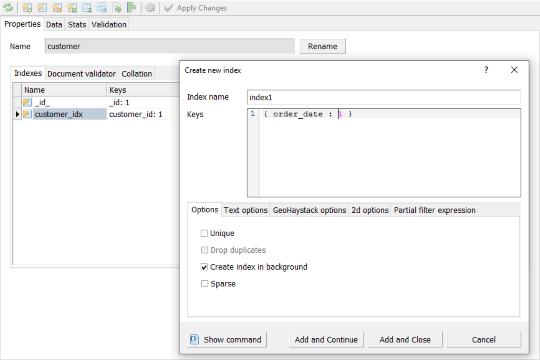 Autocompletion allows to autocomplete the collection names and methods in MongoDB and Shell commands. As text is typed into the Shell, the context of the cursor within the command provides an indication of whether the user needs a collection completion or a method completion. The collection completion provides a list of collection available in the current database. You can use Tree, Table or JSON mode to view the commands results. 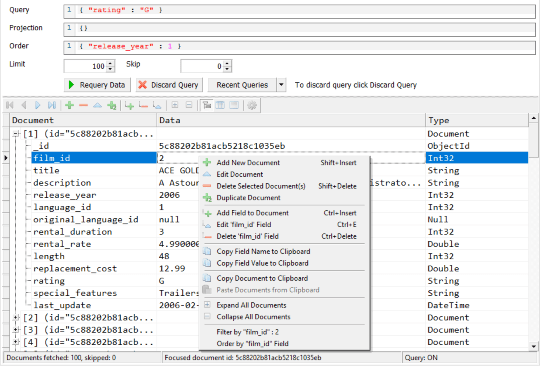 Easy document navigation, view and editing, limits to maximize performance, GUI editors for all MongoDB data types. 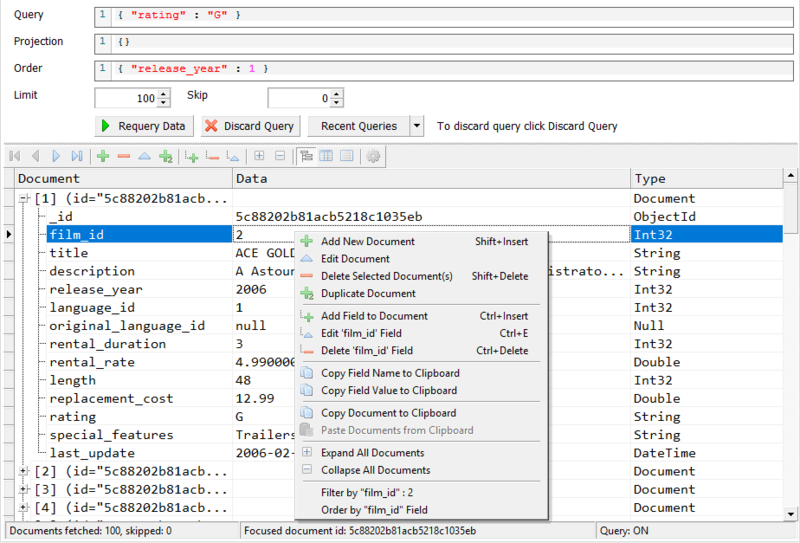 Ability to filter and order documents. 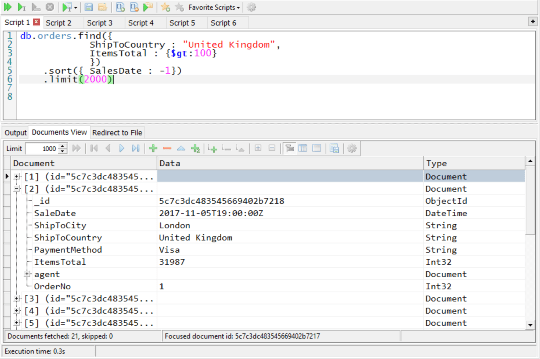 Tree, Table or JSON document representation. Create and drop databases, manage collections and their indices, manage users, roles and functions, store and retrieve files using GridFS. 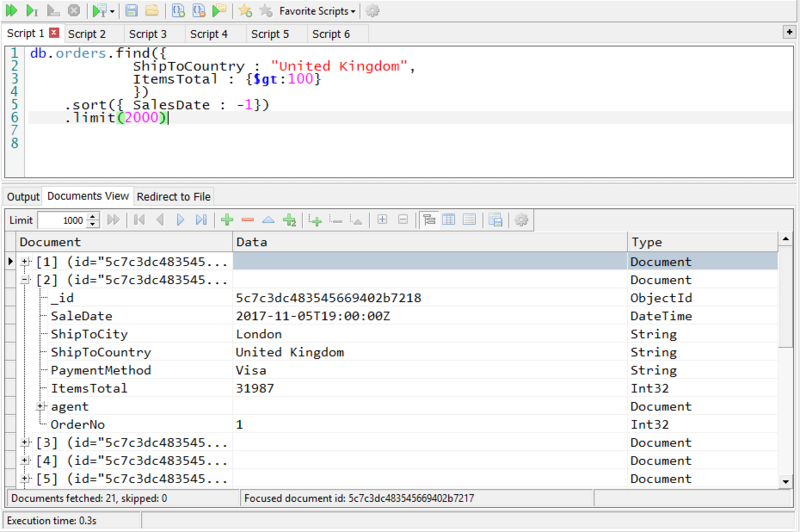 Copy databases, duplicate collections and indices. 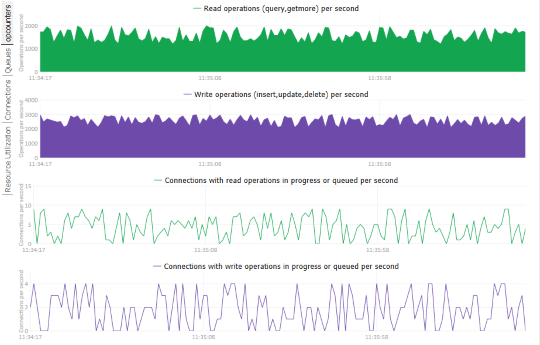 Monitoring is an important part of MongoDB database administration. Performance Monitor allows you to observe state of your databases, diagnose problems before they escalate to failures. Priority support by email (usually we process requests from registered users within 12 hours).